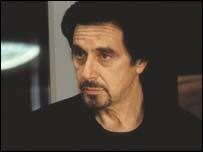 Godfather star Al Pacino has been named the greatest film star of all time, in a poll of British movie fans for Channel 4. The Italian-American actor was picked just ahead of his contemporary Robert De Niro. The highest placed British star in the top 100 list was Anthony Hopkins at number seven, ahead of eighth placed Sean Connery. More than 25,000 votes were cast in the Channel 4 poll, with Scottish star Ewan McGregor the youngest actor in the top 10 at the age of 32. 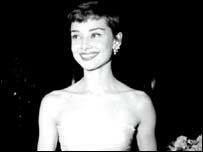 No female stars made the top 10, with Breakfast at Tiffanys star Audrey Hepburn at number thirteen. Sigourney Weaver, best known for her roles in the Alien movies, at number 20 is the second-highest placed woman in the poll. The world's biggest contemporary film stars dominate the poll, with Saving Private Ryan star Tom Hanks and American Beauty star Kevin Spacey at number three and four. Recent Oscar winner Catherine Zeta Jones failed to make the list but her husband Michael Douglas came in at number 100. Hong Kong actor Jackie Chan, star of Rush Hour, voted in at number 41, is the highest-placed Asian star. At 92 in the poll Amitabh Bachchan is the only Bollywood star to make the top 100.